President Abraham Lincoln had much to be cheerful about on this April 14th Good Friday, just two days before Easter. 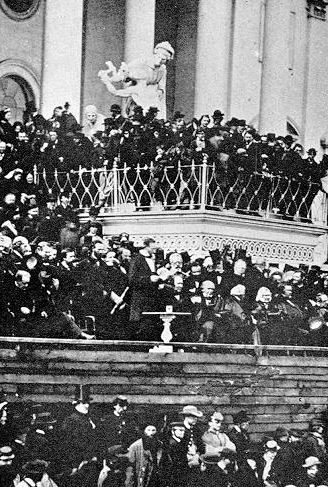 He had been re-elected as President of the United States in November of 1864, and had given his Second Inaugural address just six weeks before on March 4th. 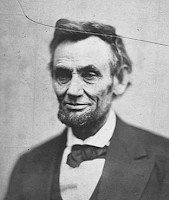 Lincoln had not been sure of his re-election. 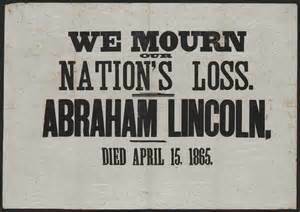 He was despised by many, due to the strife and death that had occurred during the Civil War; a war which had raged for four long years. Then on Sunday, April 9, 1865, Confederate General Robert E. Lee surrendered his army to Union General Ulysses S. Grant at Appomattox, Virginia. The War of the Rebellion was over! Two days later, on Tuesday, April 11, President Lincoln gave his speech on Reconstruction in which he said that “the seceded States, so called, are out of their proper practical relation with the Union.” He went on to stress that it was not only possible to bring them back “into proper practical relation”, but “easier, to do this, without deciding, or even considering, whether these states have even been out of the Union, than with it.” Lincoln would attempt to restore peace quickly. The South would be treated as a Prodigal Son. Meanwhile, Lincoln’s wife Mary had decided that they should take some time for themselves. 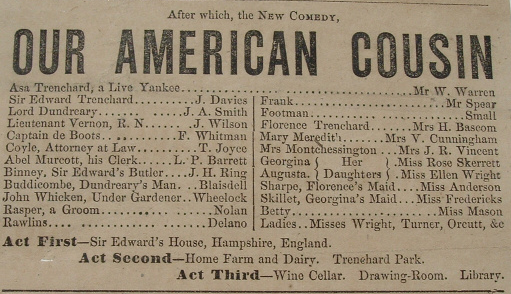 She had arranged for them to see a new play, “Our American Cousin”, which was being performed at Ford’s Theatre. 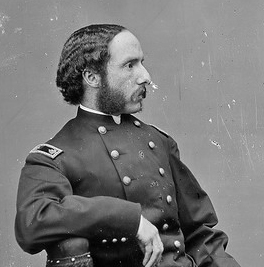 She issued an invitation to General Grant and his wife to attend with them, but the Grants’ declined the invitation. Mary then invited Major Henry Rathbone and his fiancée Clara Harris who accepted. The two couples arrived at the theatre, running a bit late. The play had already started, but the performance was halted as the President and Mrs. Lincoln took their seats in the Presidential Box. The orchestra played “Hail To The Chief” and the audience gave the President an enthusiastic standing ovation. 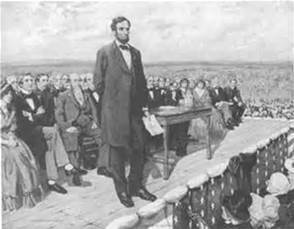 Mrs. Lincoln, holding the President’s hand, leaned into him and said, “What will Miss Harris think of my hanging on to you so?" The president simply smiled and replied, "She won't think anything about it." Those would be the President’s last words. Lincoln and Mary seemed to enjoy the play. Members of the audience saw them nod and smile during the first two acts. 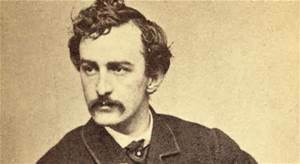 At 10:25 p.m., during the third and final act, John Wilkes Booth, a well-known actor, stopped at the door of the Presidential Box and presented his card to an usher. 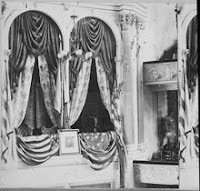 The door was opened, and Booth entered into the anteroom of the theatre box. Once in, he wedged the door shut with a wooden stick and waited until the upcoming “laugh line” was delivered by one of the characters on stage to make his move. 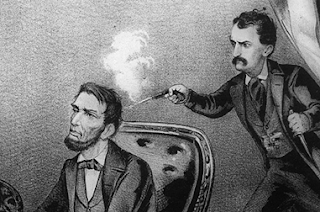 As the audience laughed and clapped, Booth stepped into the Presidential Box and shot Lincoln at point-blank range. Major Rathbone attempted to stop Booth, but was knifed as Booth fought to escape. Booth then vaulted over the box railing onto the stage and pretended to be part of the show, raising the bloody knife above his head and spewing Latin as he ran off into the wings. It wasn’t until the laughter died down that the screams of Mrs. Lincoln and Miss Harris could be heard, and Rathbone’s cry of “Stop that man!” spurred audience members to give chase. 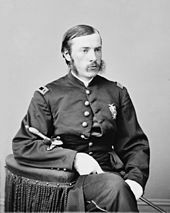 Attending the play that night was Charles Leale, a young Army surgeon. He quickly made his way to the Presidential Box and offered what assistance he could. He later reported that the President seemed to be paralyzed and was barely breathing. 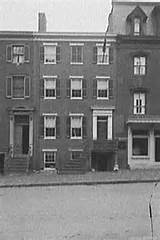 Lincoln was carefully carried into the rainy night, across the street to a boarding house owned by German tailor, William Petersen. Numerous doctors were in attendance during the President’s final hours, including Lincoln’s personal physician, Robert K. Stone. 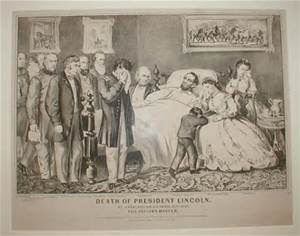 The 16th President of the United States was dead.